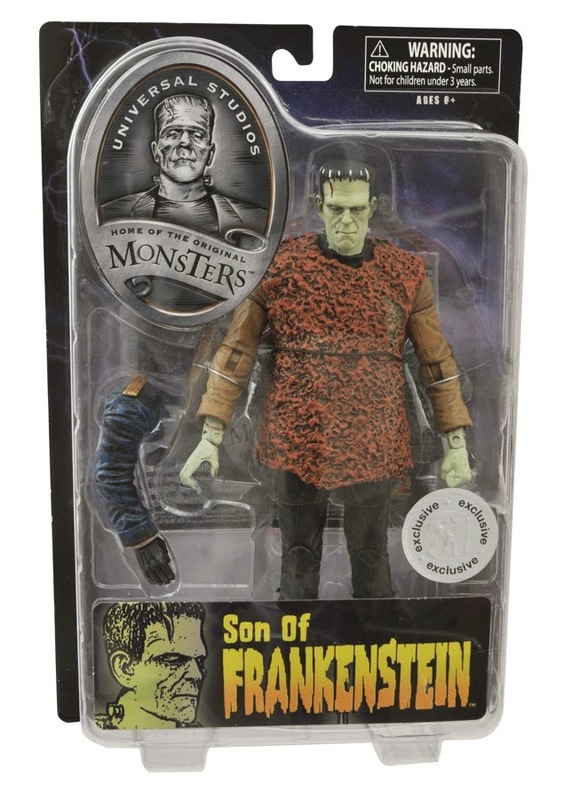 These figures were first shown ad SDCC last year in 2013 and it feels like it's been a loooooong wait for this wave of Diamond Select's Universal Monsters! 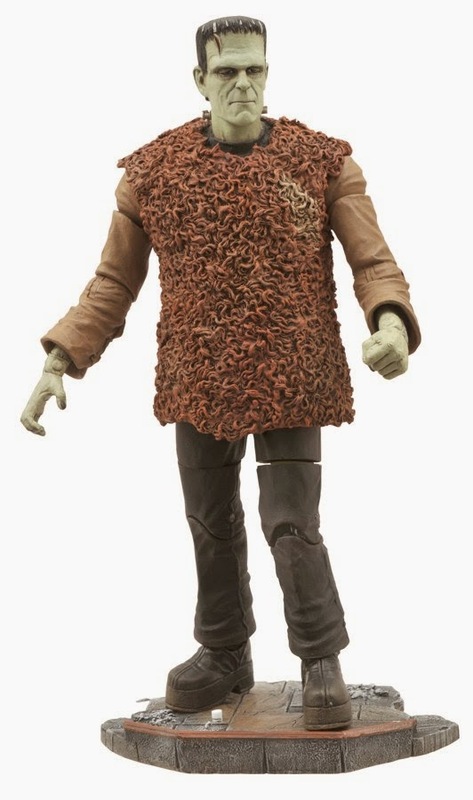 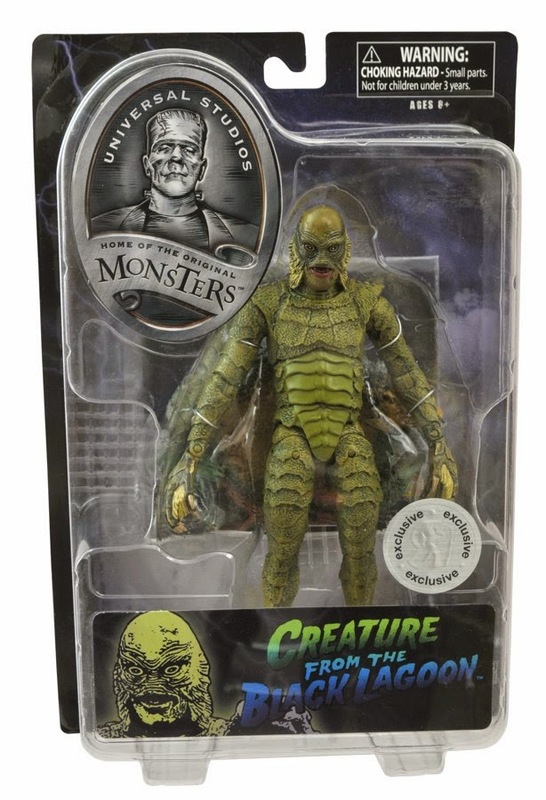 I'm a "Creature Collector"-- meaning I collect Creature From the Black Lagoon figures-- and I've been anxiously awaiting DS's new version! 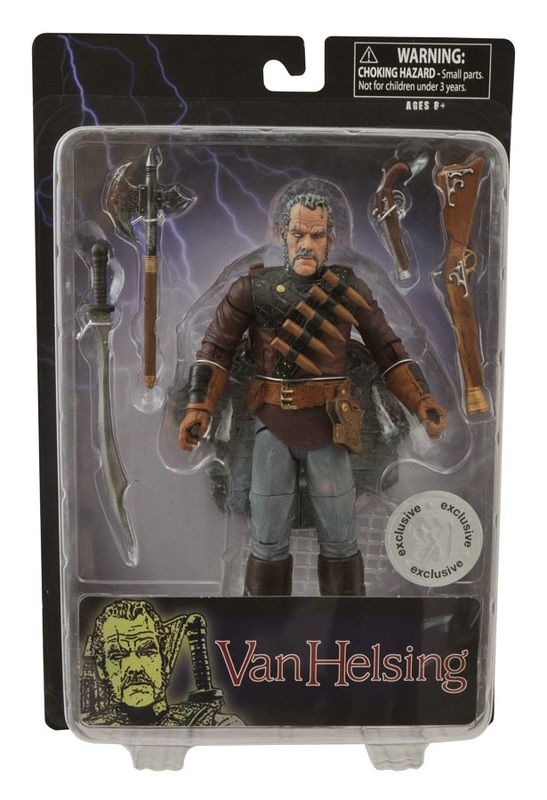 Van Helsing is also a very cool and unique addition to the line and Jean St. Jean-- the sculptor of the line (and most of Diamond's figures) has done an outstanding job on this wave, once again. 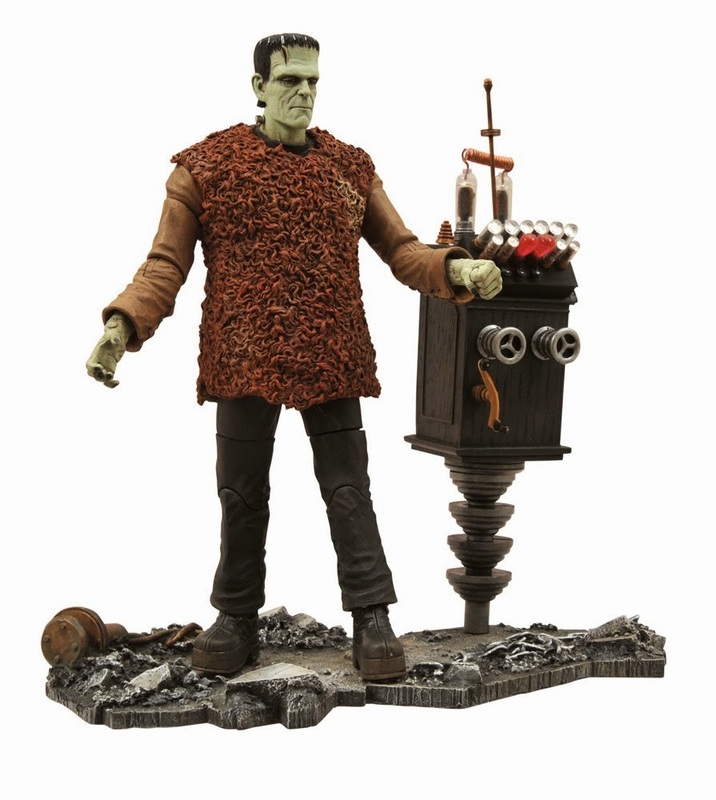 Son of Frankenstein also looks good, but I'm just not much a Frankie fan. 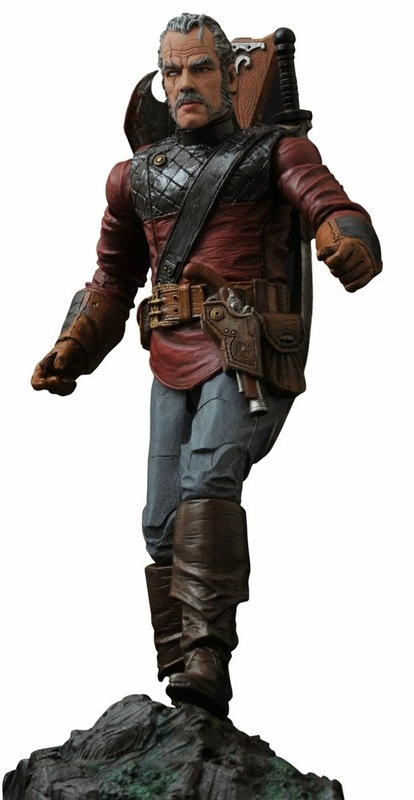 There will be two versions of each figure-- a Toys R Us "exclusive" version and the comic shop-- or Diamond-- versions. 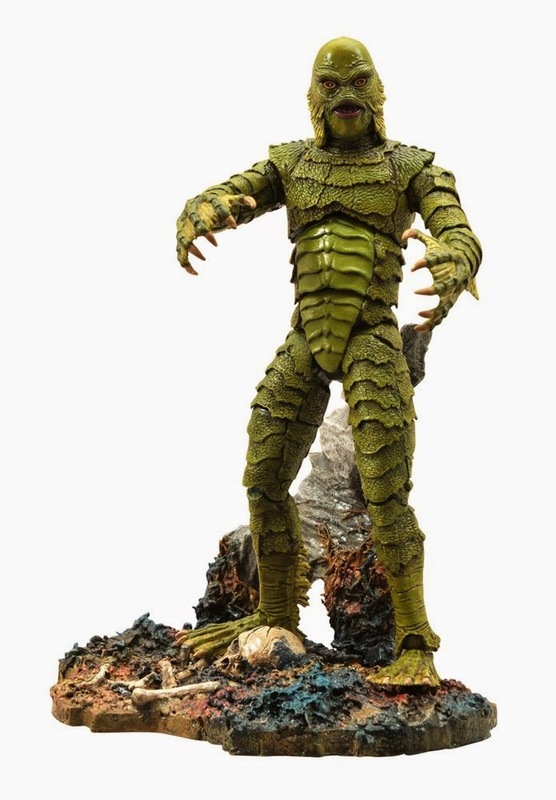 The comic shop versions come with larger, more elaborate diorama bases. 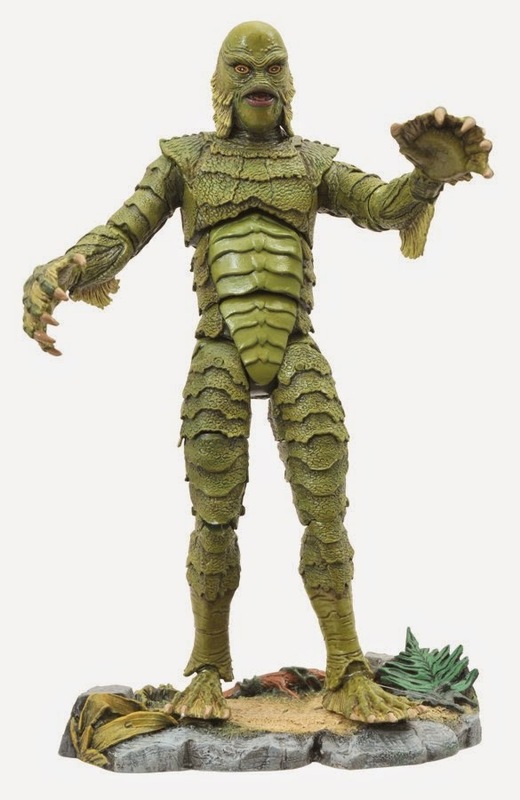 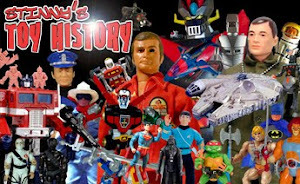 The TRU versions are smaller and simpler. 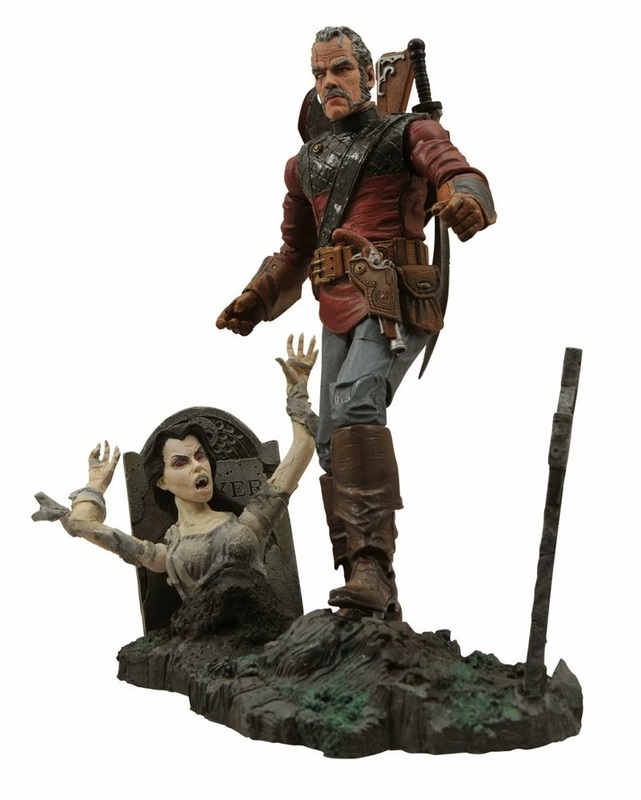 For me, the dio base is a big part of the displayability of the figures-- especially in the case of that Van Helsing figure with the female Vamp busting out of the ground-- so I'm definitely going to be grabbing mine from a local comic shop even though the TRU versions will be a bit cheaper.